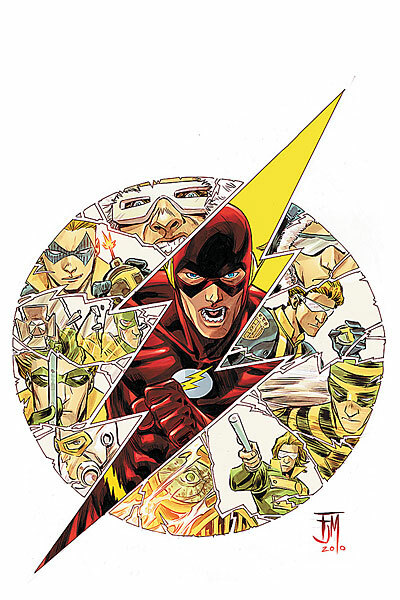 Last week’s issue of The Flash, starring the resurrected speedster Barry Allen battling accusations of murder from future Rogues, had the following error on one of its last pages. 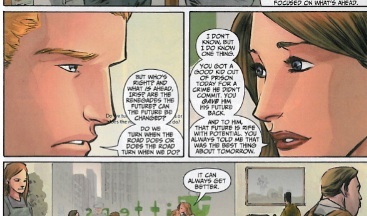 It seems someone missed the double up of Barry’s dialogue, or something. Great cover though. 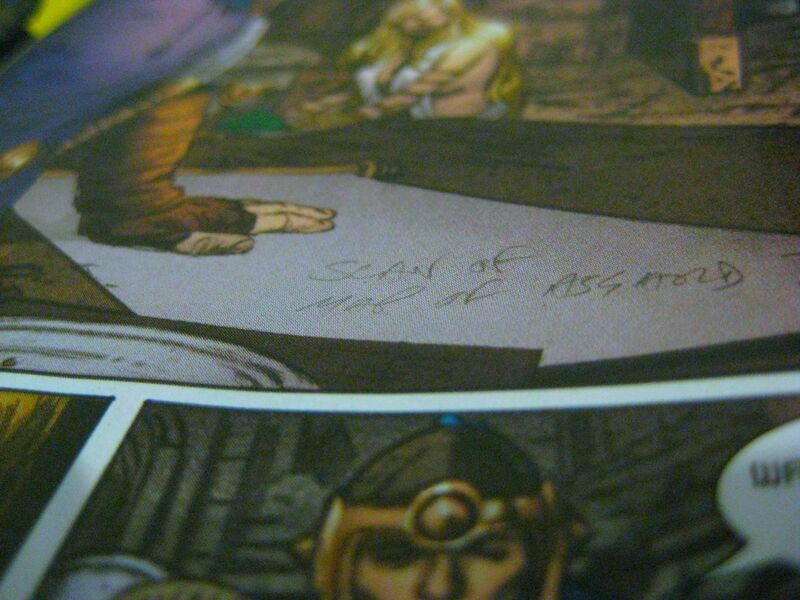 This one has been out for a few weeks, but it makes it obvious that the PR department don’t always work closely with the comic production people. 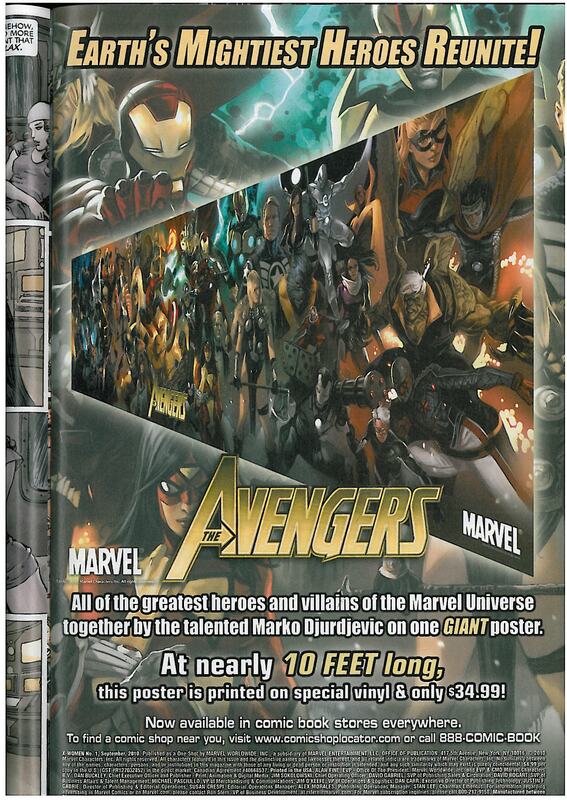 This in-house ad in some of Marvel’s recent books shows artist Marko Djurdjevic’s excellent and large poster assembling all the new Avengers teams from their own books, whether they be Secret, Young or otherwise. The problem is that whoever wrote this ad didn’t know that. “All of the greatest heroes and villains together,” it states. Um…no actually. It’s by no means all of them. That poster would have to be the size of an airplane. A new #1 for Marvel’s biggest franchise is something that’s sure to get attention, and scrutiny from the fanboy/girl fraternity. 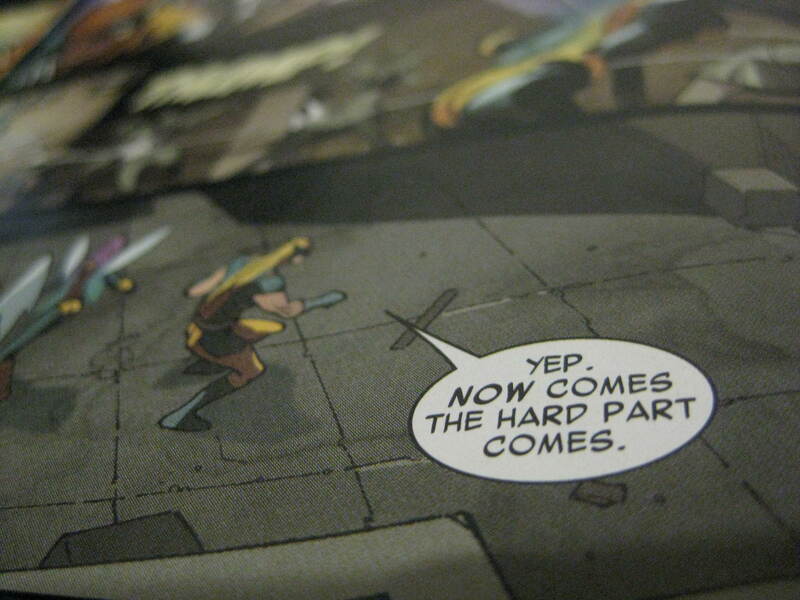 It’s a shame that the latest relaunch, which kicked off in July, suffered from two typos, as shown below. Excuse the photos due to lack of a scanner. 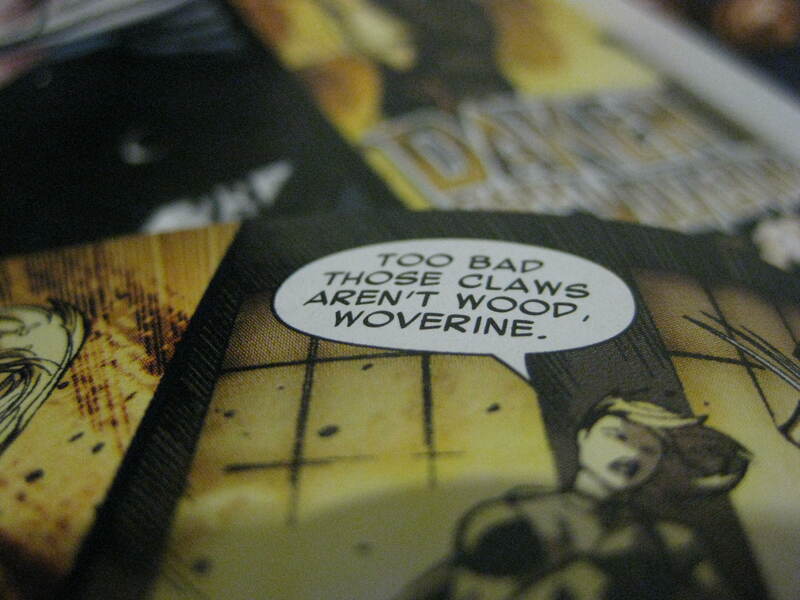 Wolverine has had the “l” dropped from his name and Wolvie himself seems to suffer from a stutter. A more recent release is Thor #614, the final issue before writer Matt Fraction and artist Pasqual Ferry take over next month. This gaffe seems to have stayed put during the entire production of its pages while being ignored or put in the “that job’s not mine” basket. 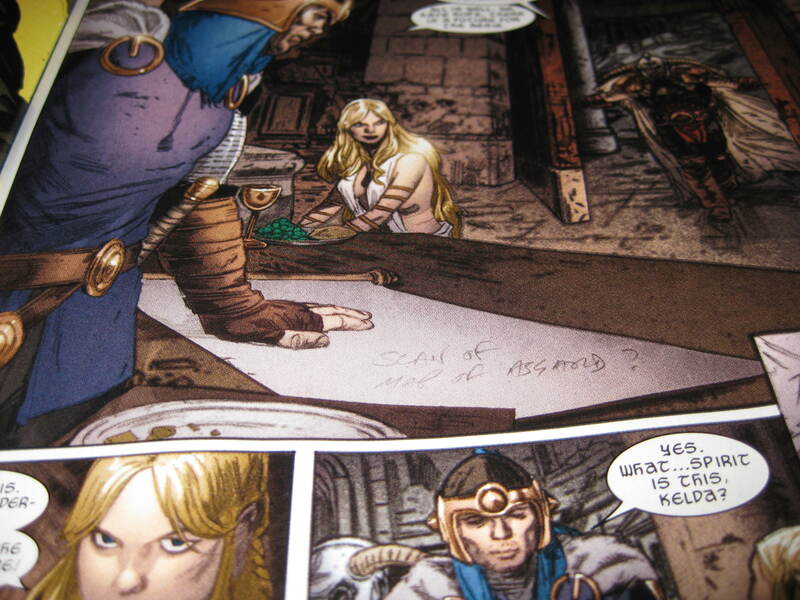 A handwritten note reads “Scan of map of Asgard?” on an empty parchment. Good idea. Shame no-one actually made it happen.